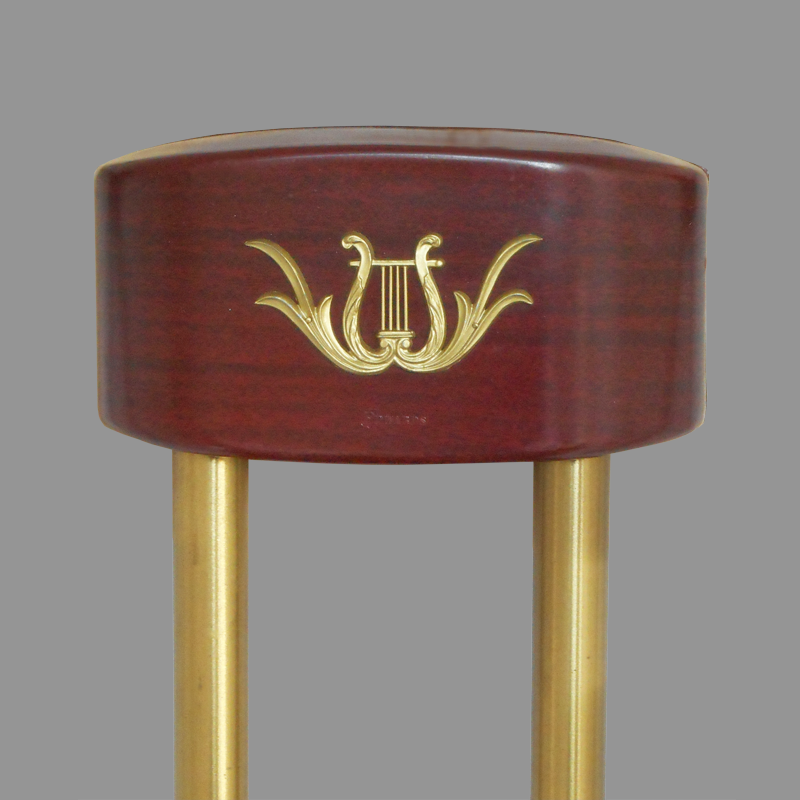 A TRUE Empire mahogany finish with the familiar Lyre-and-Spray casting in brass. 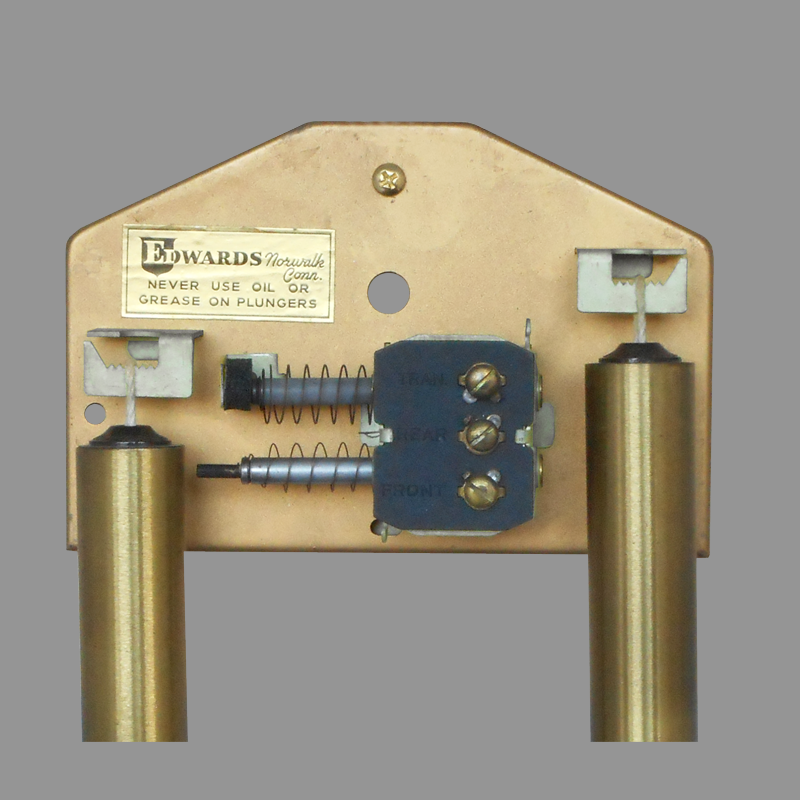 The tubes are rich polished brass. as pleasing and graceful as a Duncan Phyfe chair. 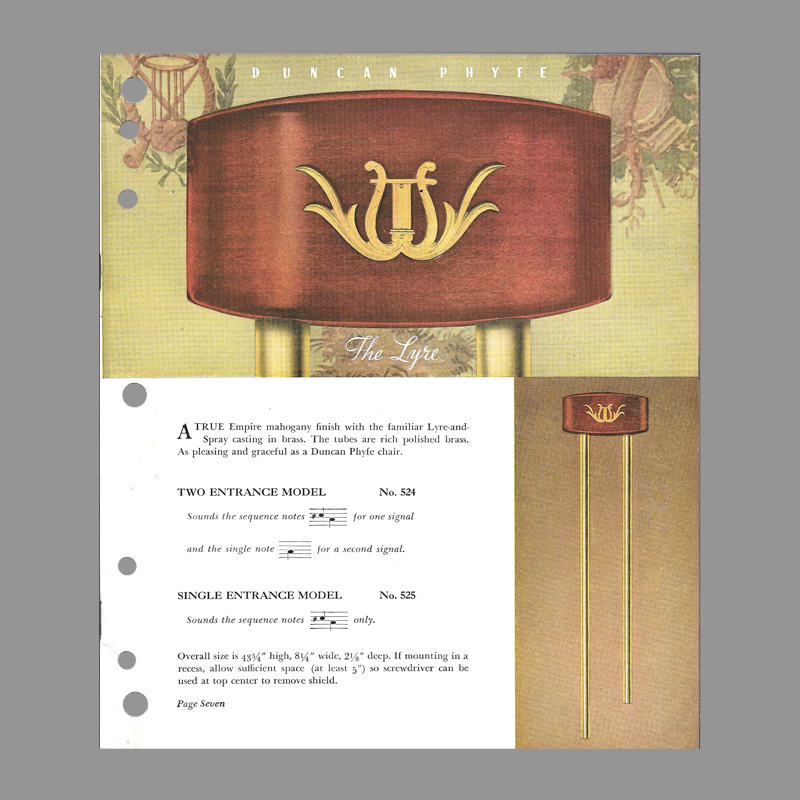 The similarity in name and ornament of the Sheraton and Lyre to the Rittenhouse Sheraton and Lyric models is notable. 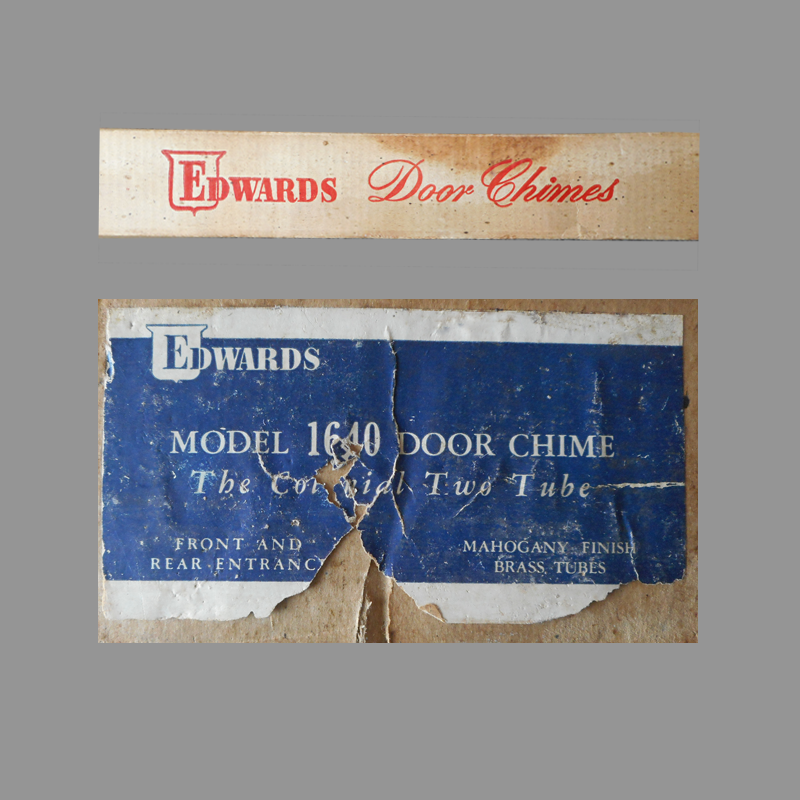 It should be further noted this Edwards line predates the Rittenhouse offerings by more than a decade. 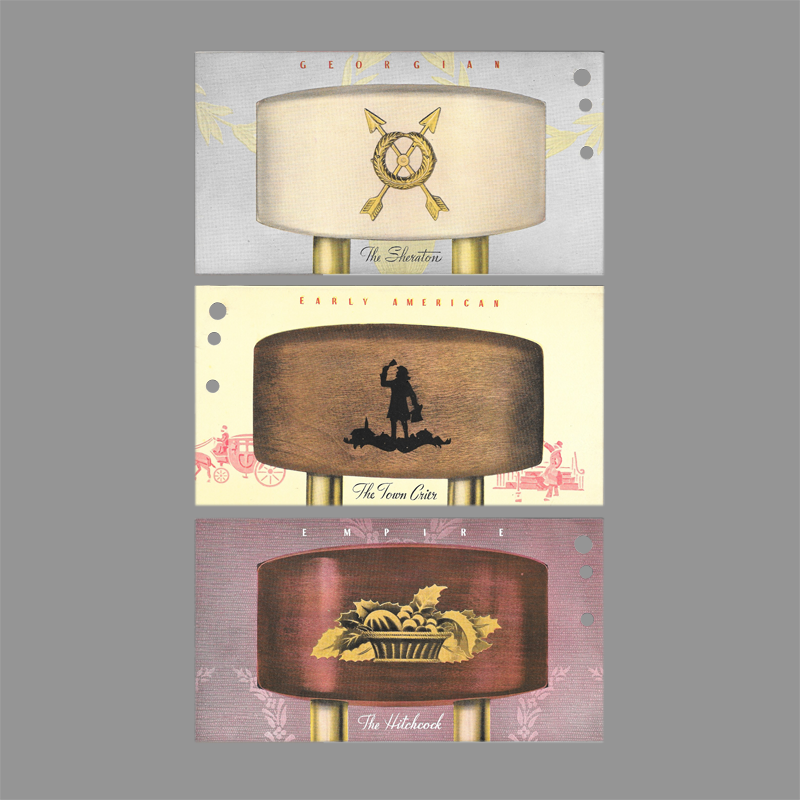 Manufacturer Edwards and Company, Inc.
Cover Stamped steel with painted walnut grain and brass ornament. Notes Original Condition in box. Never used.